PERNELLE launches the refreshing Febe Collection and the vivid Sophie Collection in Spring 2016 as a celebration of the season of life and energy. 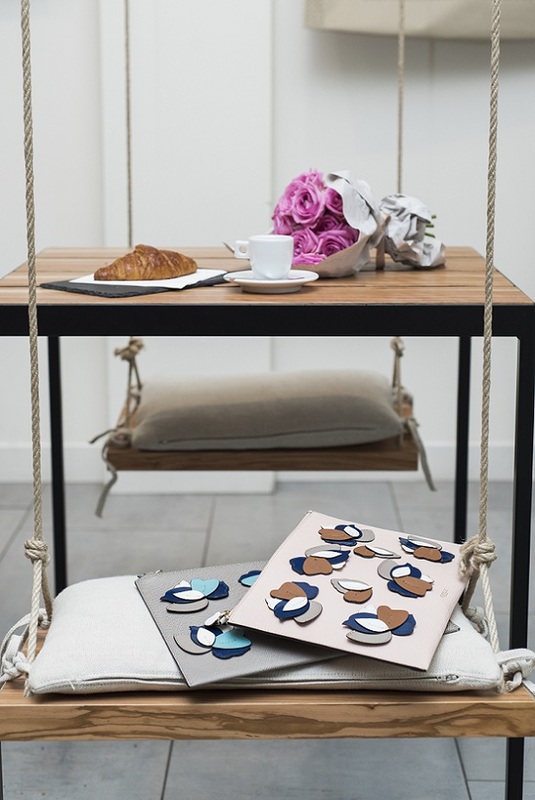 Febe Collection presents a harmony of colors, with soothing complementary tones. 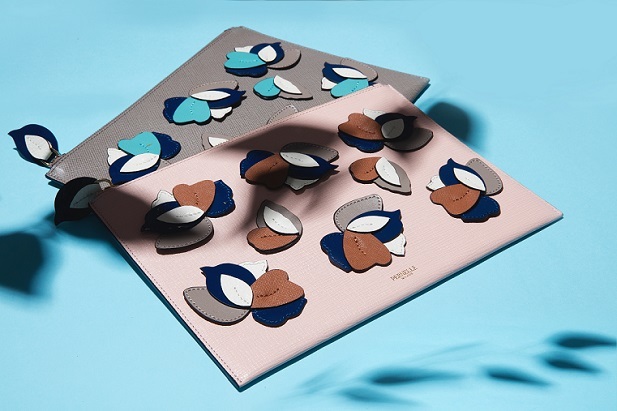 Unlike many Spring/Summer collections of bright and sharp colors, Febe Collection takes inspiration from the transition between winter and spring, splashing lovely spring colors, light pink and light blue, onto traditional winter colors, grey, dark blue and brown. 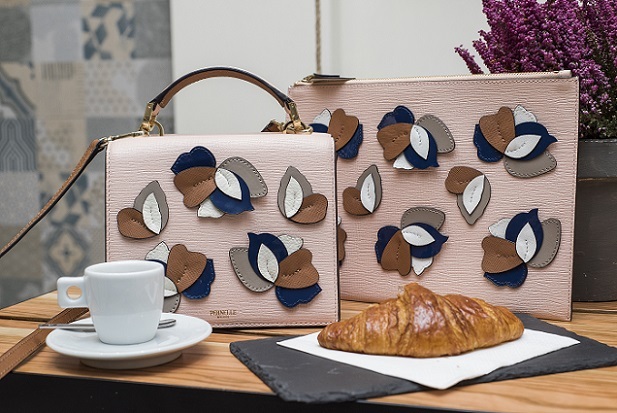 The Collection comes in two delicate designs, easy-to-match clutches and classy accordion double-flap shoulder bags, both adorned with petals made of various kinds of leather. Sophie Collection is filled with energy and passion brought by bright yellow and green. Tropical flora is complemented by soft hues such as light pink, peach, royal blue and turquoise. A practical tote design with eye-catching color contrast makes the Sophie collection a spring must-have to complete any daily look.